You can see our part 1 contributors article here. An odd week with some strange results, but one that feels like a little bit of a lucky escape as I managed a small green arrow. 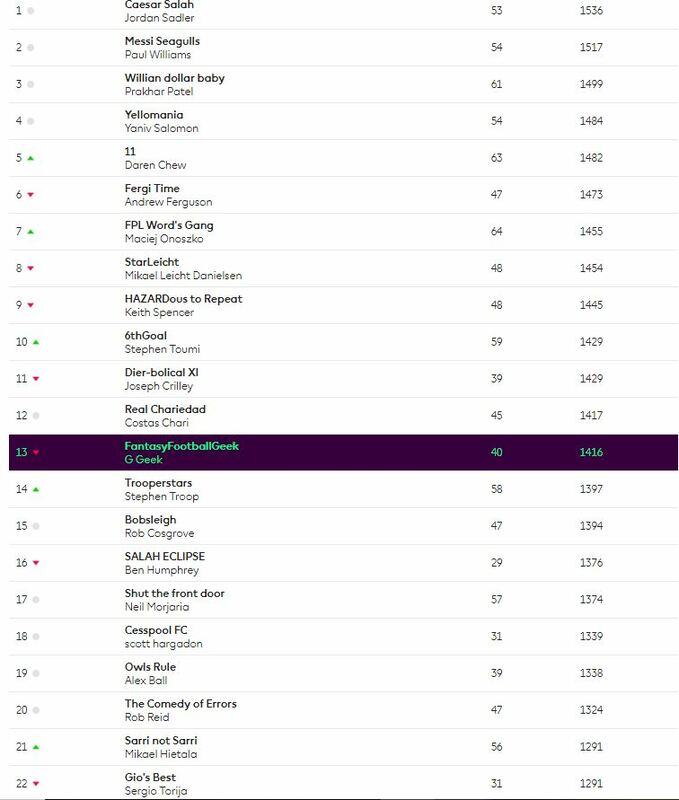 This was despite only 4/11 returns, a captain blank and a ‘meh’ gameweek rank. I’ve had better this season in respect to these factors and still ended up red. It’s a funny old game sometimes. My 4 returns all came on Tuesday evening and I got off to a flyer with Richarlison and Aguero scoring early in both their respective matches. Most of the rest of the night then went downhill as Digne came off the bench and then inexplicably got sent off 10 minutes later, what a plonker! My United clean sheet promptly disappeared and Rashford and Sane blanked. I was rescued a bit though by a handy late show from Jimenez and a Pogba pen. Wednesday night then went badly as captain Salah blanked and my remaining 2 Liverpool defensive players also blew their clean sheets. That’s no clean sheets since I played my Wildcard! But it’s also 10/14 returns from my attacking players, every cloud and all that. 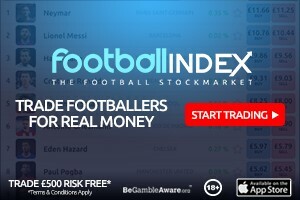 2 free transfers, no money in the bank this week. I laid out 3 potential strategies for the next 10 weeks in a separate article, this week I’m planning to carry a transfer and use my other. This is effectively a 1 week free transfer for me overall so I can be a bit adventurous if needs be. In terms of injuries, I have Pogba yellow flagged though Solskjaer suggested today in his presser that he should be fit so that leaves Digne with a red flag for the first game of the double. Seeing as the second is against Man City, I think this is a nice time for me to part with the enigmatic Frenchman, so I’ve 5.1m to spend on a defender. A few options here. 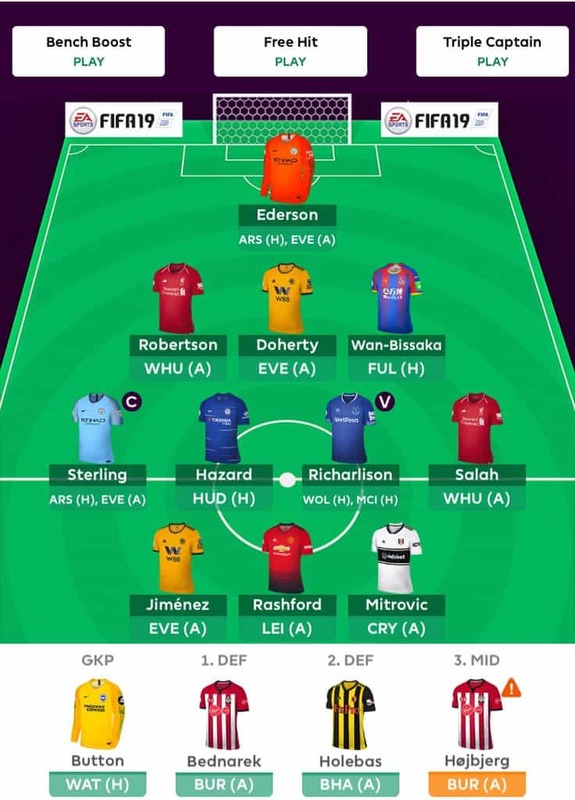 There a couple of less risky choices that would help me to build towards my double gameweek team a bit further – the ones I’m waying up are a Wolves defender (would be Jonny or Bennett which also frees up some cash) or Kolasinac (would be benched for this week.) There’s also a more risky option and that is to gamble on a City defender playing twice, not a given and their defence has been a bit up and down of late. The only affordable option here would be Danilo. In the end I’ve decided to look a bit longer term with this move. 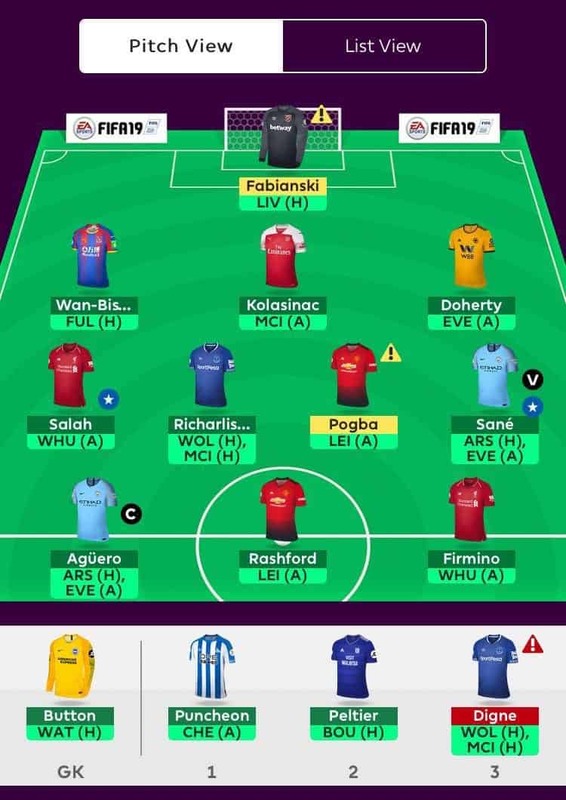 Danilo would need to be sold again straight away and with my most likely move being Aguero to Aubameyang for 1 transfer and carrying the other again until the FA Cup 1/4s are decided I prefer the slightly safer option. I suspect I will end up with Kolasinac eventually but I prefer a Wolves defender for the next few weeks so I’ve gone for Jonny, who looked good against West Ham in midweek. So to sum up, it’s Jonny for Digne and I’m banking a transfer. 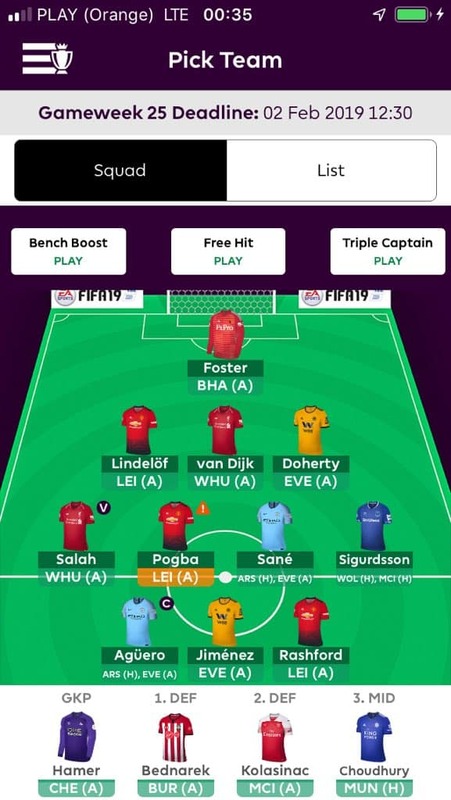 So my first dilemma this week in terms of team selection is who to bench. It’s between Shaw and Jonny. United haven’t looked the best at the back, but Jonny does play against Richarlison. I’ve gone for Jonny at the moment but may change my mind. Now the biggest selection headache. Captaincy. It’s got to be Sane or Aguero, but who? Aguero is probably the safer pick, but I fancy Sane to get more minutes and possibly more returns. I’ll be guided by the polls on this week, but I’m on Aguero at the moment. And finally, the Triple Captain Chip. It’s definitely a tempter this week. 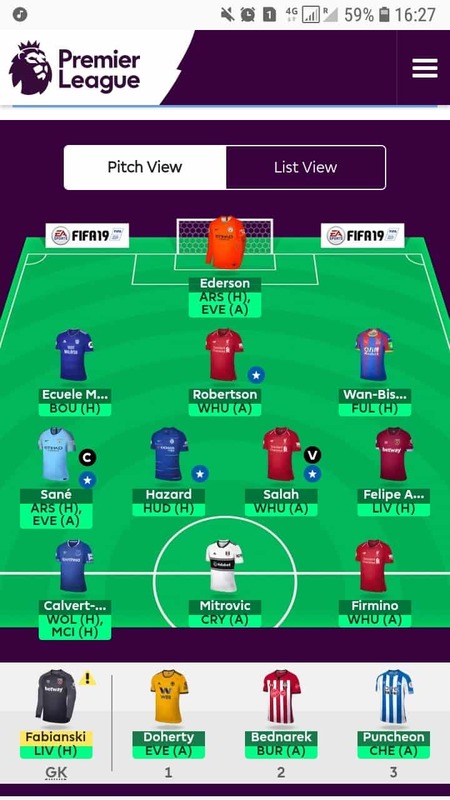 My head says no at the moment and I’m inclined to leave it until GW35 to try and lessen the damage that others playing their Bench Boost would do in this week. It’ll be a late call if I do it! So that’s me for this week, good luck everyone and may your arrows be green! Keith finished with a 3k OR last season, an incredible OR of 325 in 16/17 and 9k in 15/16. He is one of the 10 top FPL managers I follow weekly who’ve finished the last 3 seasons in the top 10k OR. All in on Man City including the triple captain chip. I will probably transfer Aguero out for Aubameyang probably next week. My thinking is not touching another chip till 32, depending on where I am standing in my cash leagues. Time for an Aguero haul!